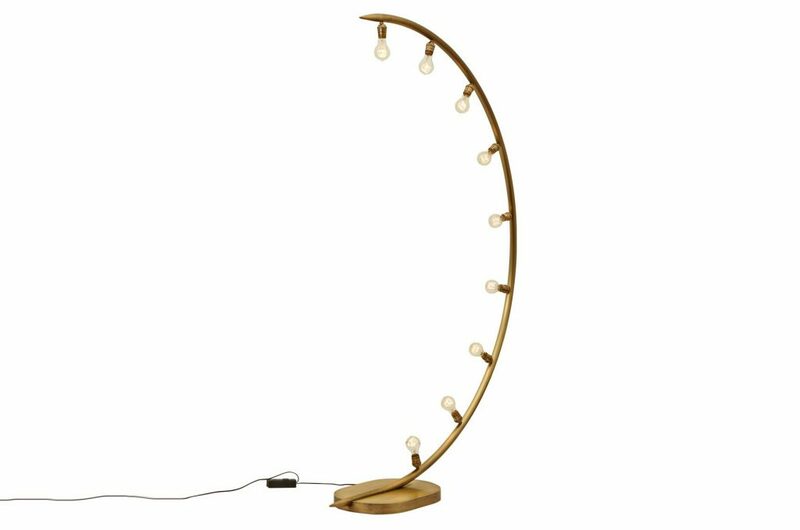 The Crescent Moon Floor Lamp is made of hand forged brass with an oiled bronze finish and has nine medium bulb sockets. 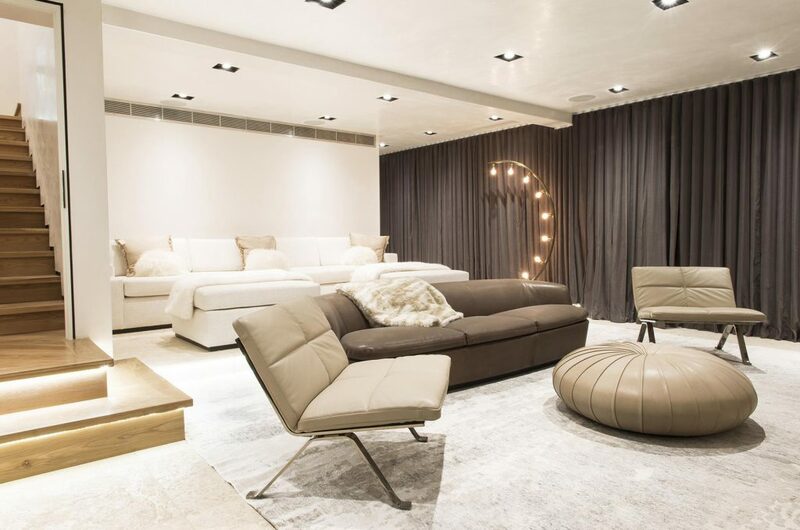 The bulb choice dramatically changes the look and vibe of the lamp as well as its effect on the room. Nine Edison style bulbs are included. 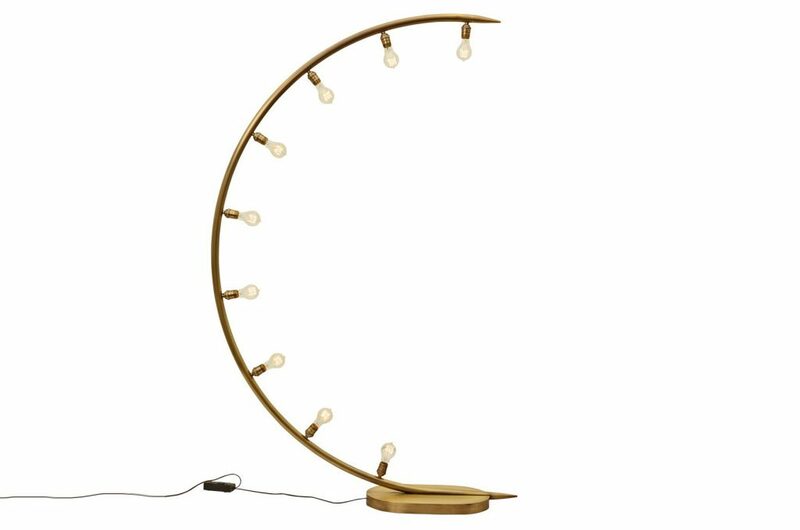 The Crescent Moon Floor Lamp comes with a floor dimmer.